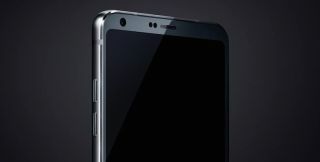 LG G6 leaks show headphone jack, but no Hi-Fi Plus DAC | What Hi-Fi? Due to be revealed on the 26th February, the LG G6 smartphone moves away from its predecessor's modular design, but will support virtual reality on its 5.7in screen. LG's G6 - the next step forward from the G5 smartphone we reviewed in April - will be unveiled on the 26th February. Leaked images of the new smartphone have revealed that the G6 will no longer be modular in design with optional clip-on units such as an external B&O Hi-Fi Plus DAC, in contrast to last year's G5, and will be waterproof. It will also have a 3.5mm headphone jack, rather than eliminating it as the iPhone 7 did and the forthcoming Samsung S8 is expected to do. On the inside, it's believed that the Android Nougat phone will have a Qualcomm Snapdragon 821 chipset, which means that it will have the same VR-capable processor as the Google Pixel and Pixel XL. The G6 will feature a large 5.7in display, with a 2:1 aspect ratio. However it is unlikely that its sound quality will match the G5's, due to the latter's optional DAC module which made its audio sound significantly better.